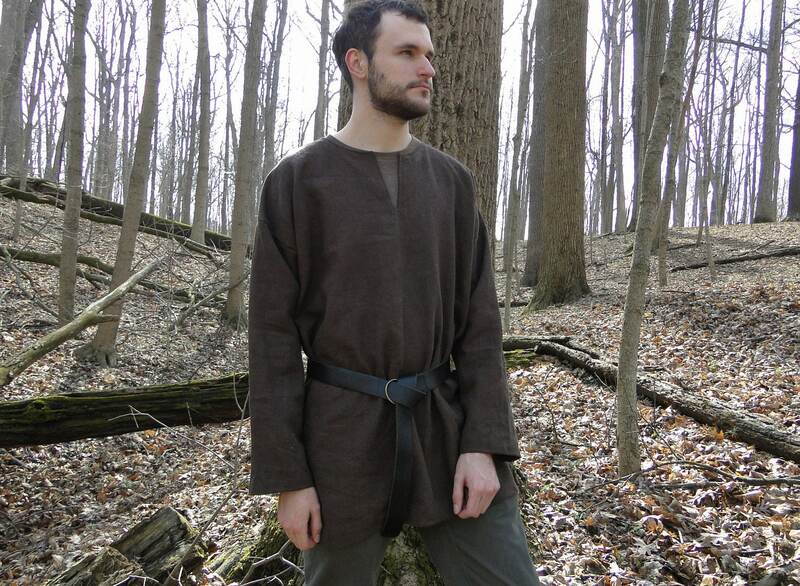 Our classic Medieval style shirt. Made with high quality linen. Size is a men's large (up to 45" chest). These do run on the generous size, meant to be worn with a belt (sold separately). 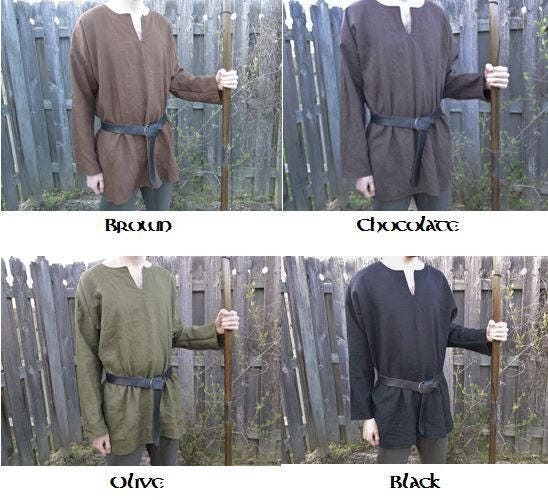 Great for archers, rangers, Vikings and common medieval costumes. 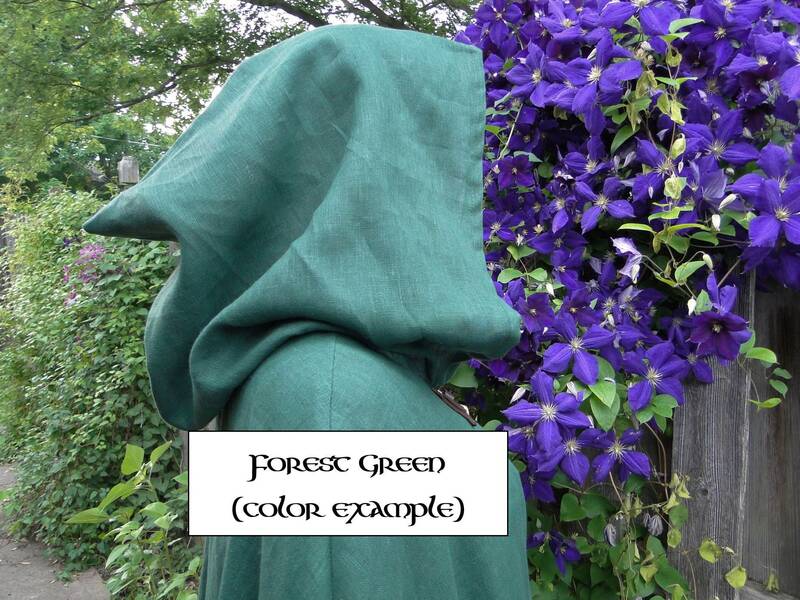 It's a great tunic. The vender worked with me on a custom size with me being a broad shouldered barrel of a guy. 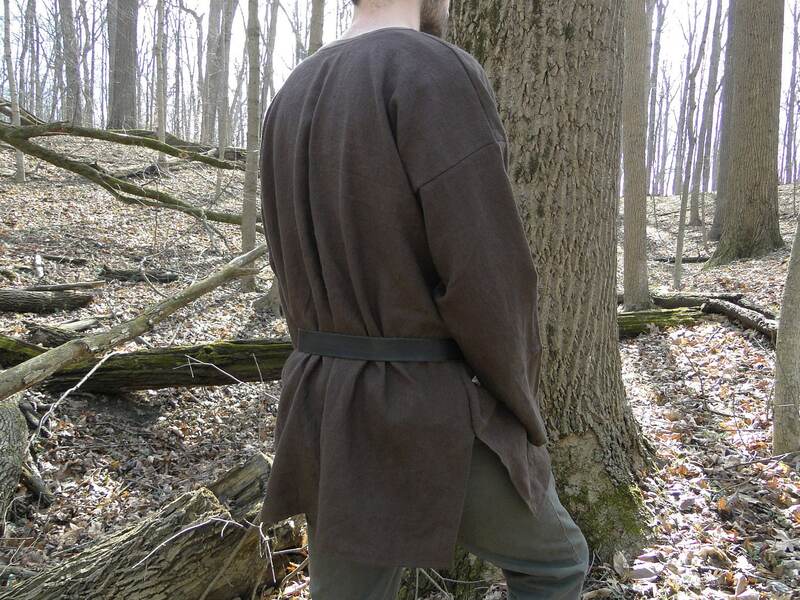 Great tunic, with a belt it comes together real nice.